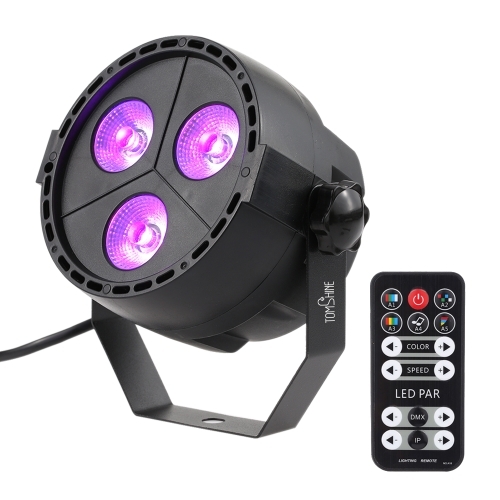 Want a fantastic show? 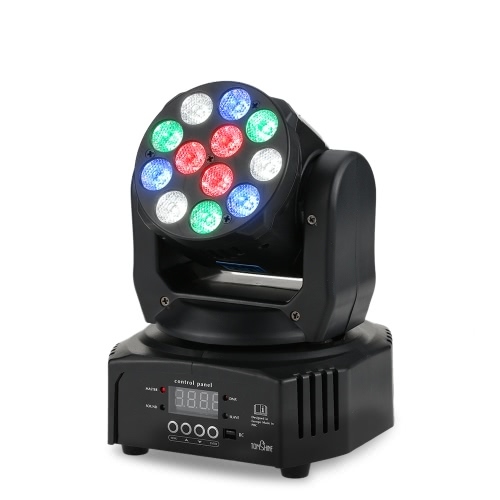 Want to become the super star on a cool stage? 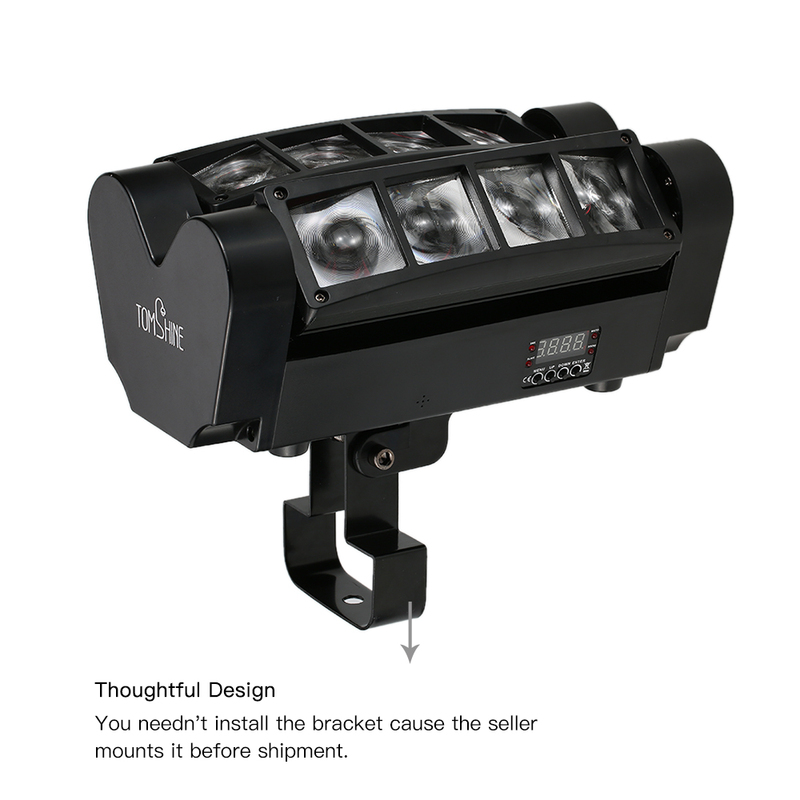 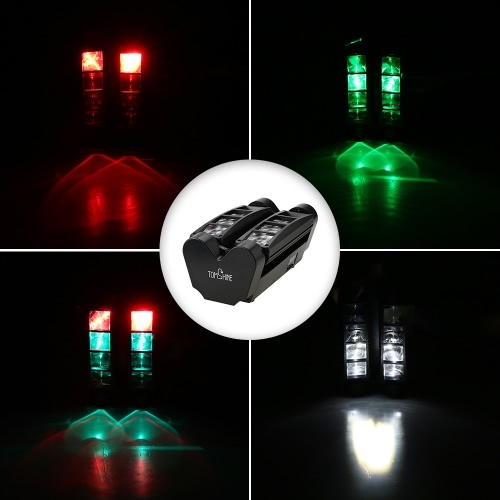 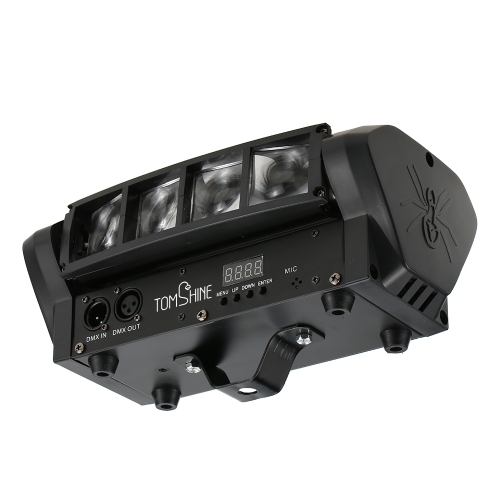 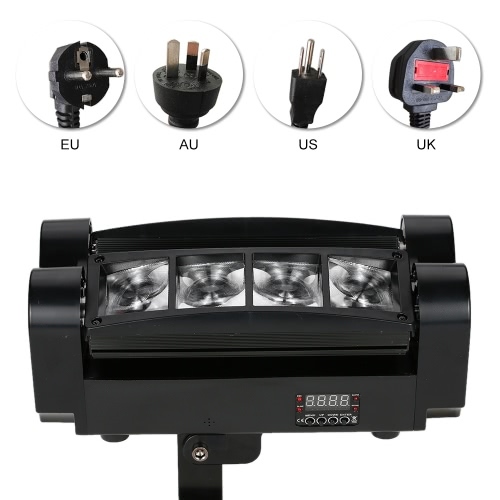 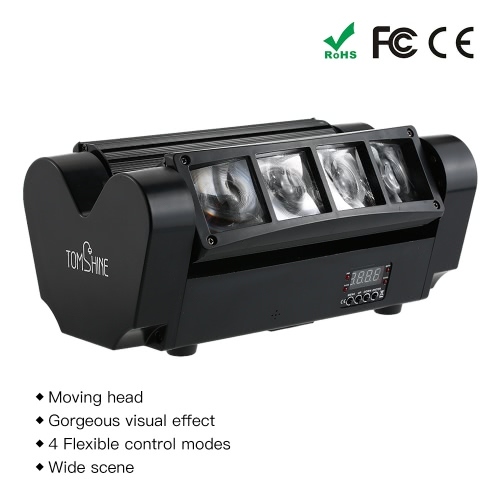 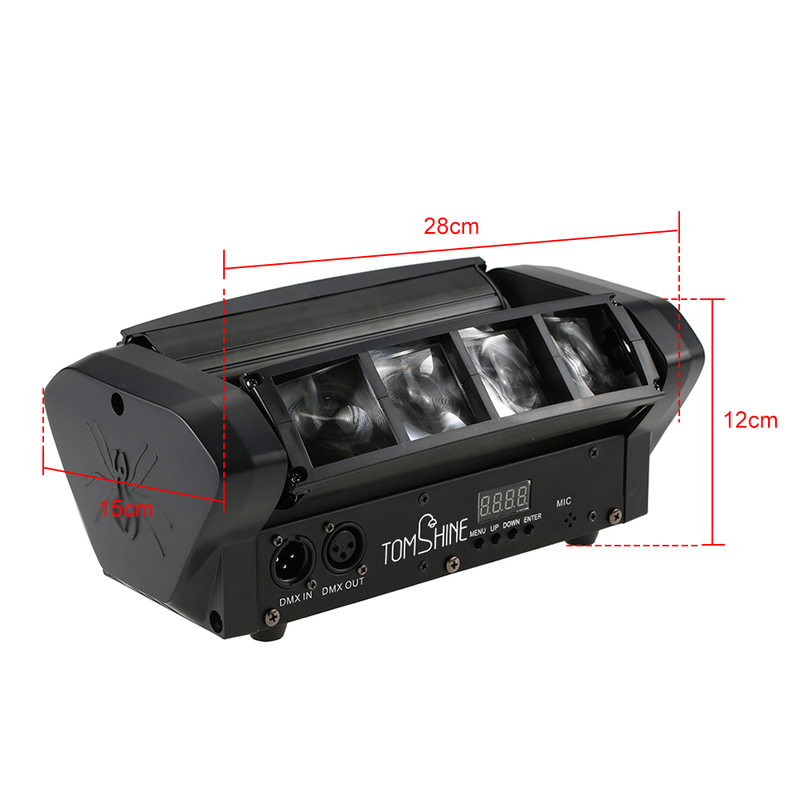 This 30W mini LED spider stage light with 8 LEDs can provide supremely splendid RGBW stage color jumping effect, bringing you impressive and wonderful visual experience. 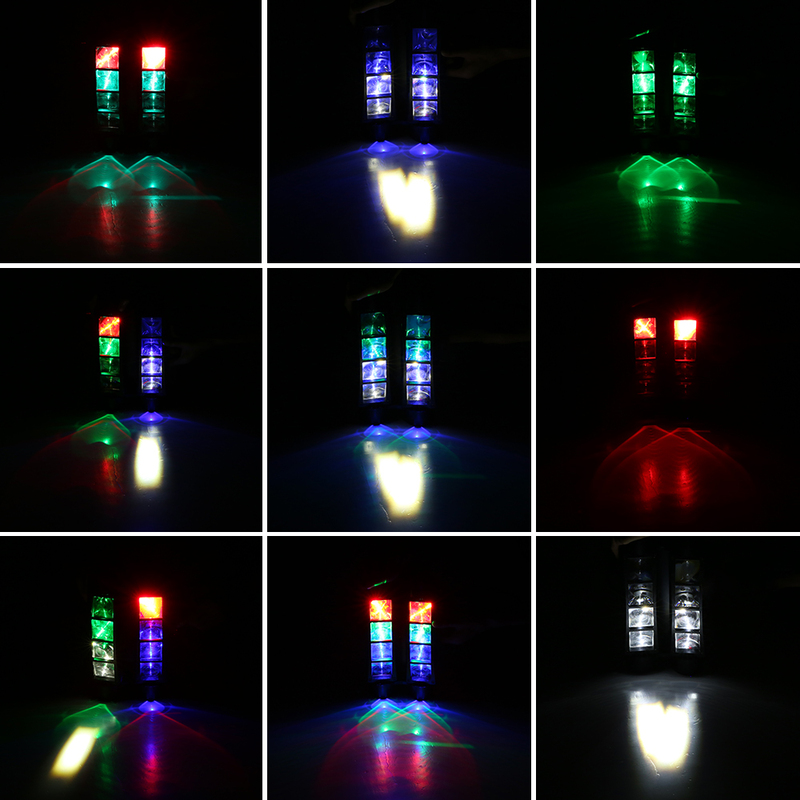 Choose this light, make your life more colorful. 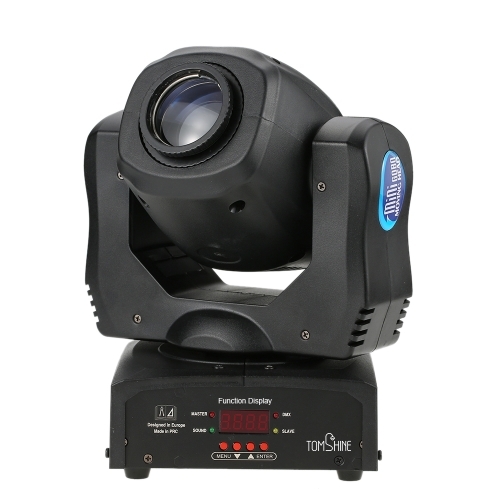 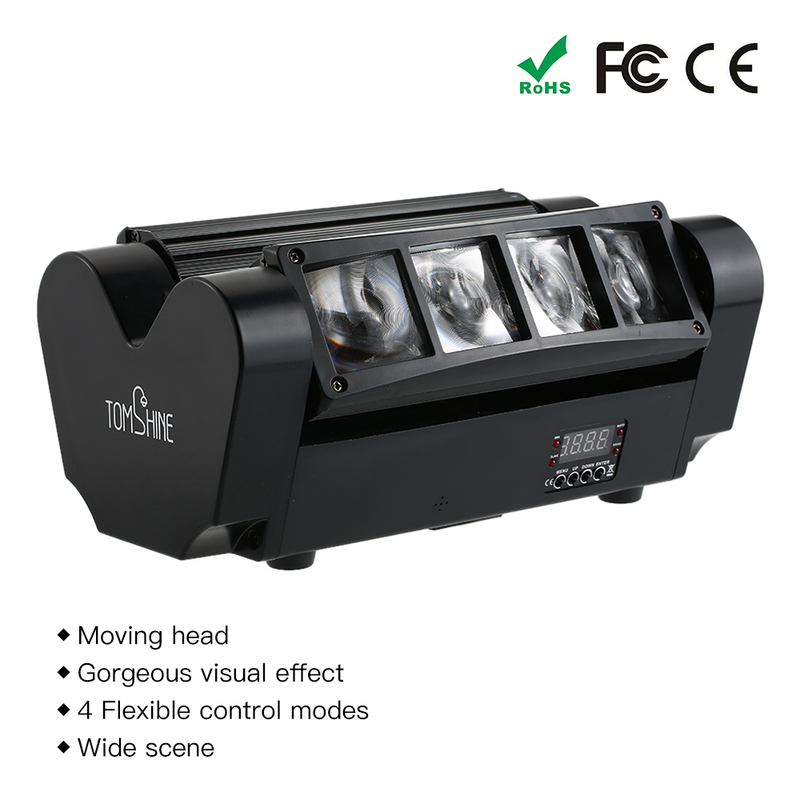 MOVING HEAD: 180 degrees rotatable moving head and 120 degrees illuminating angle that create a vivid and brilliant stage effect. 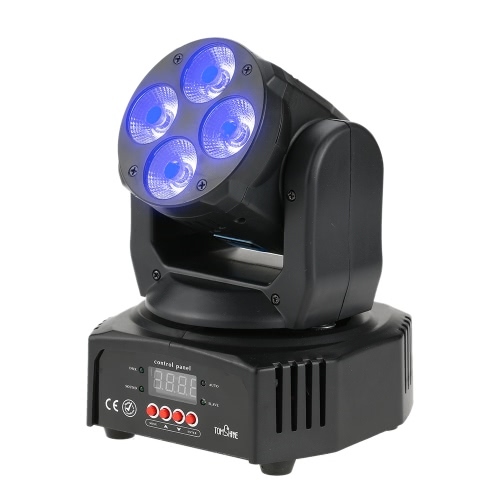 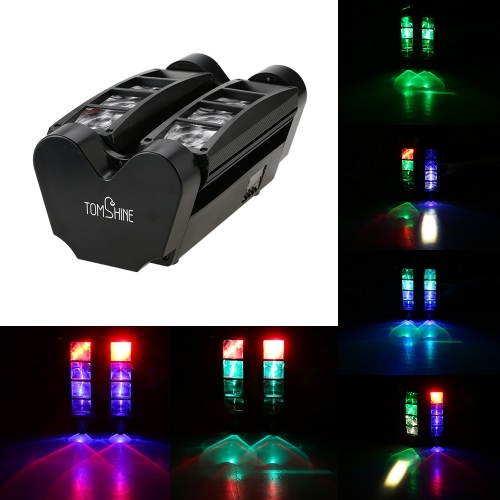 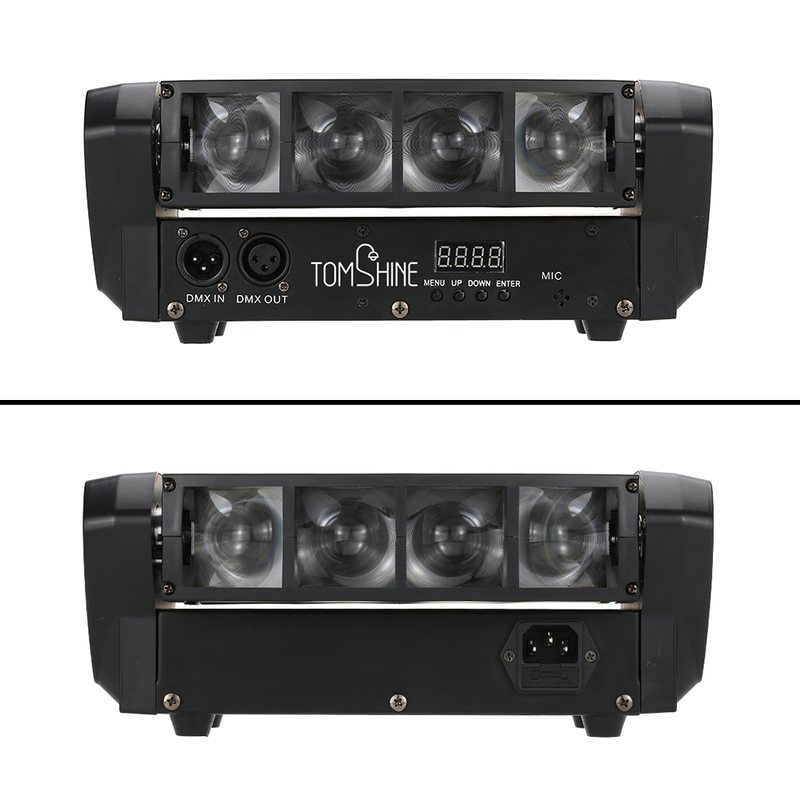 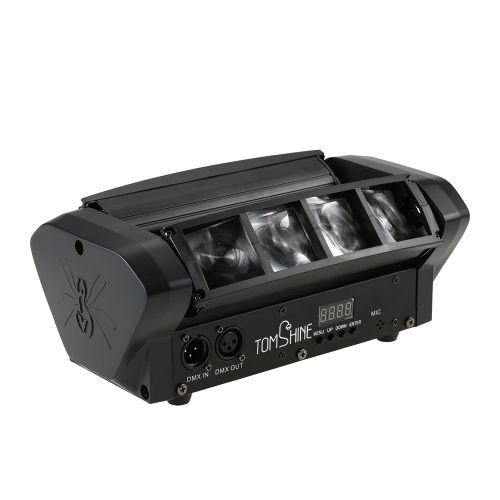 The stage light has 8 LEDs, every 4 LEDs (RGBW) on 1 line. GORGEOUS VISUAL EFFECT: Offer RGBW color jumping, gradual color change, strobe. 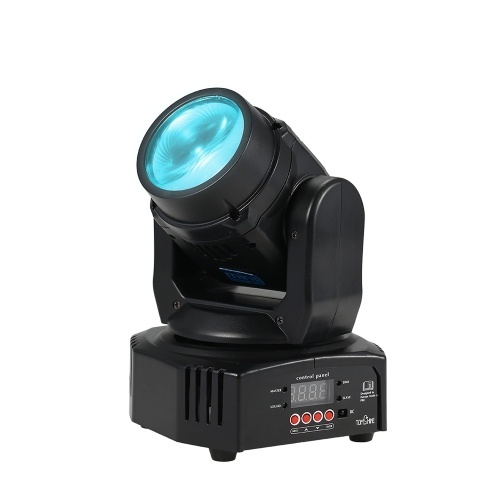 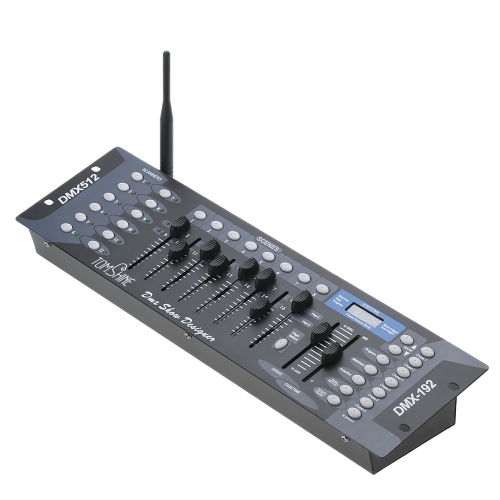 FLEXIBLE CONTROL MODES: Support DMX512 control, sound control, master-slave mode and auto running by selecting after pressing the menu button on the side of light, very sensitive to music rhythm, convenient to use. 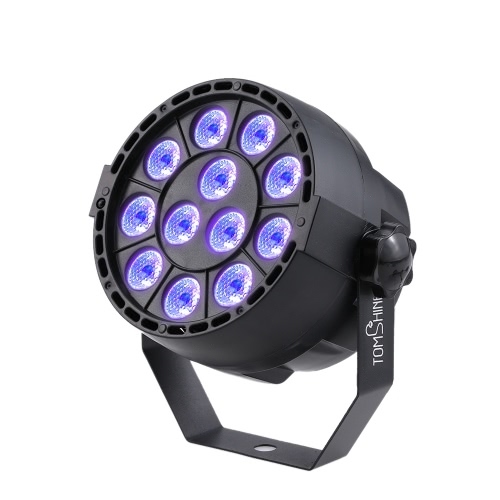 OPTIONAL PLACEMENT: Its mini cute size and light weight make sure that you can carry it to anywhere as you like and it can be hung on light stand or placed on ground. 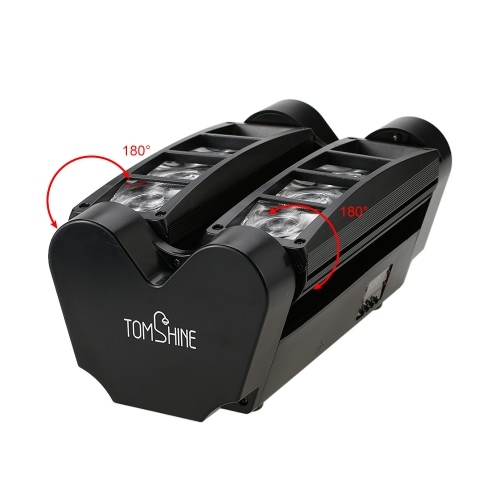 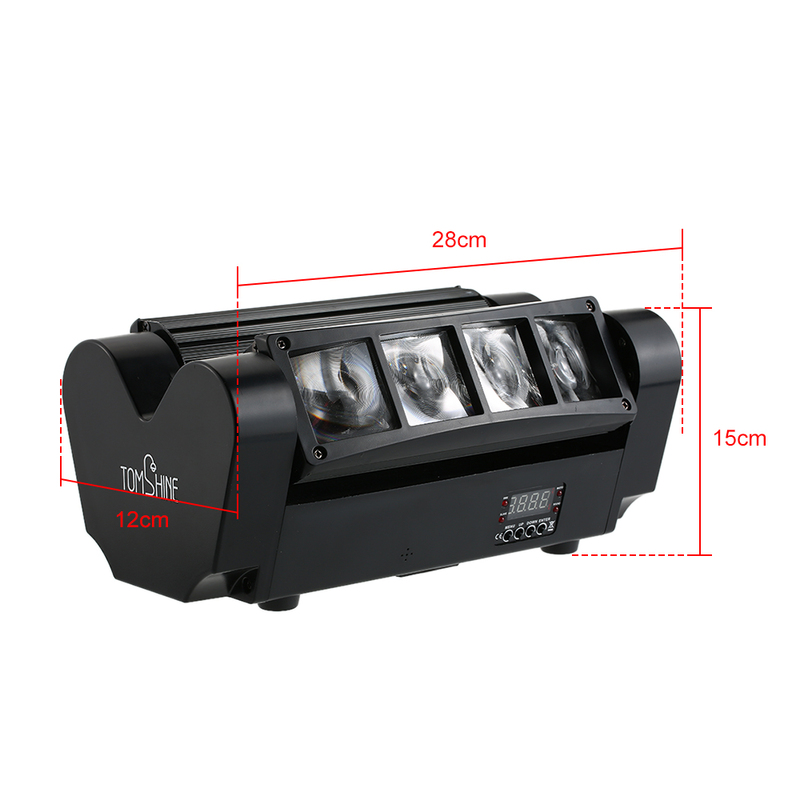 LONG LIFESPAN: The lifespan of this mini LED stage light is up to 5000 hours, which really signifies barely light changing and cost saving. 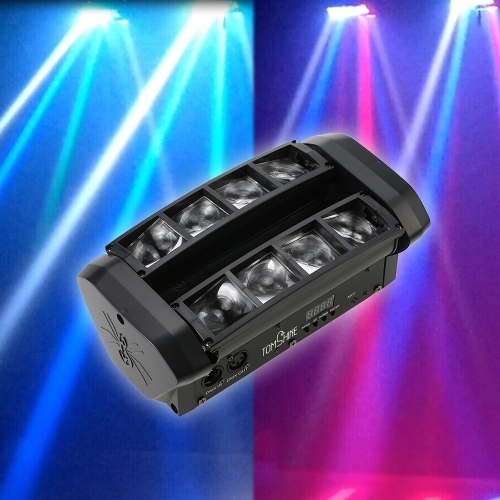 WIDE SCENE: Smooth 0-100% electronic dimming, it is fit for bar, disco, club, DJ show, home party, ballroom, KTV etc. 1. 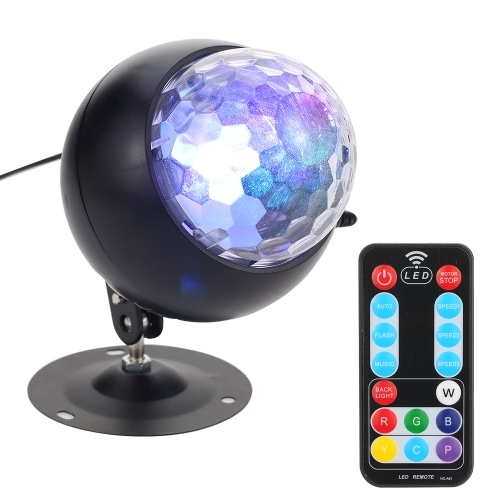 You had better turn off the light for 15 minutes after keeping working 4 hours constantly. 2. Do not look directly to the light.